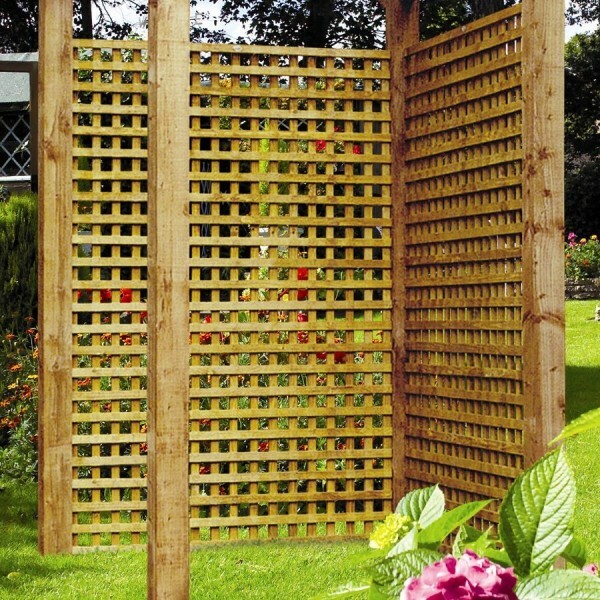 It’s never been easier to add a decorative touch to your garden fencing than with the Alderley Concave Trellis. 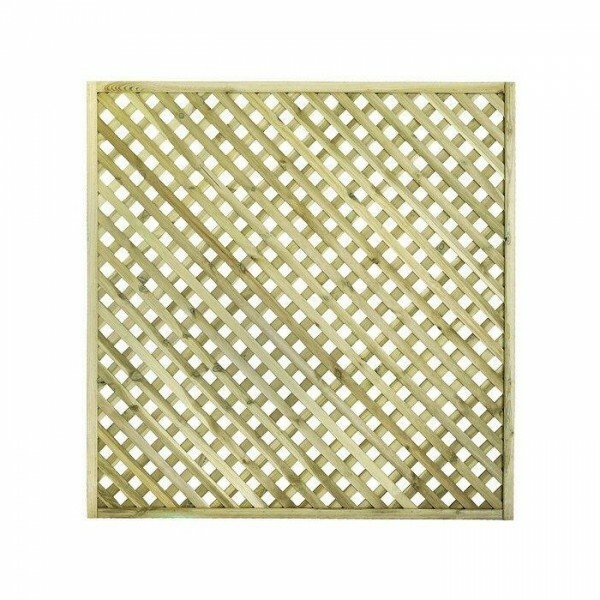 A beautiful piece of lattice-work, this trellis particularly complements the Valencia range very well. 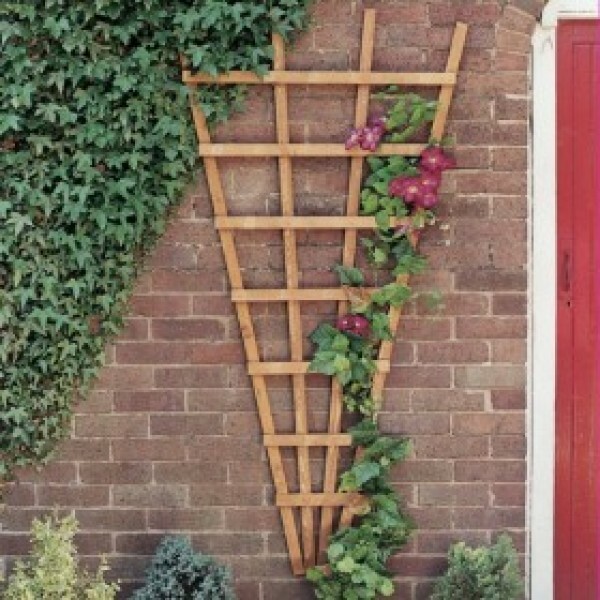 The Alderley can be used in lots of different ways to add interest to your garden decor and to provide adequate support for creepers, vines and plants. 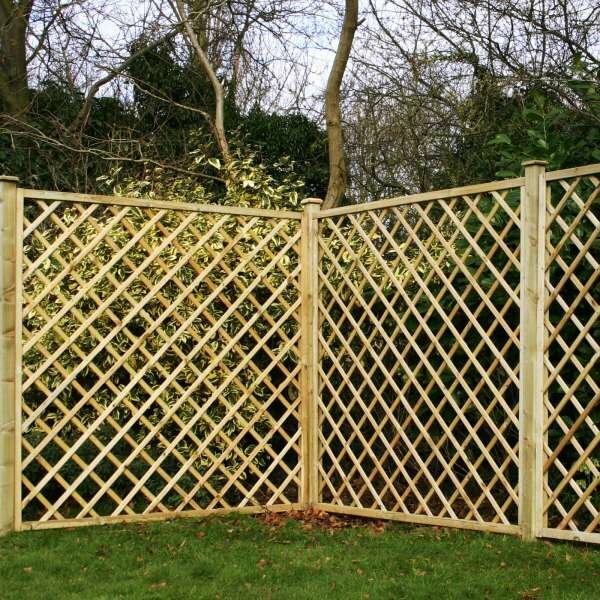 Over time, the greenery will entwine with the trellis providing a unique border or divider for your outside space. 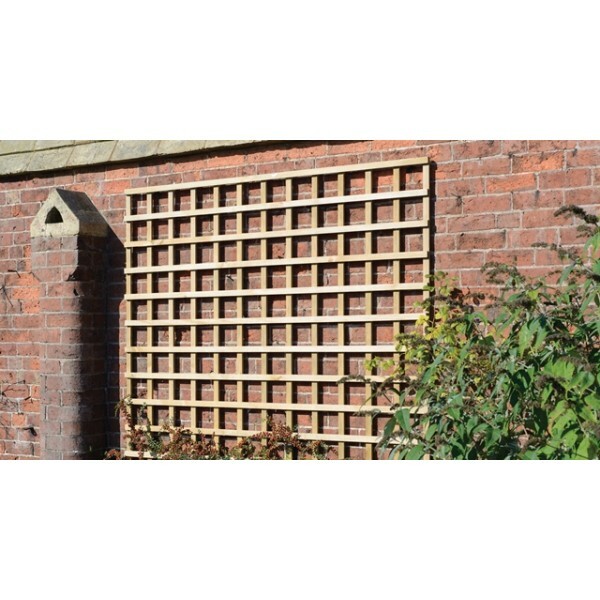 This trellis is made from ethically sourced timber and is manufactured entirely in the UK, reducing the carbon footprint. It has been through eco-friendly pressure treating which leaves a pale green appearance on the surface but provides superior protection against rot and decay. 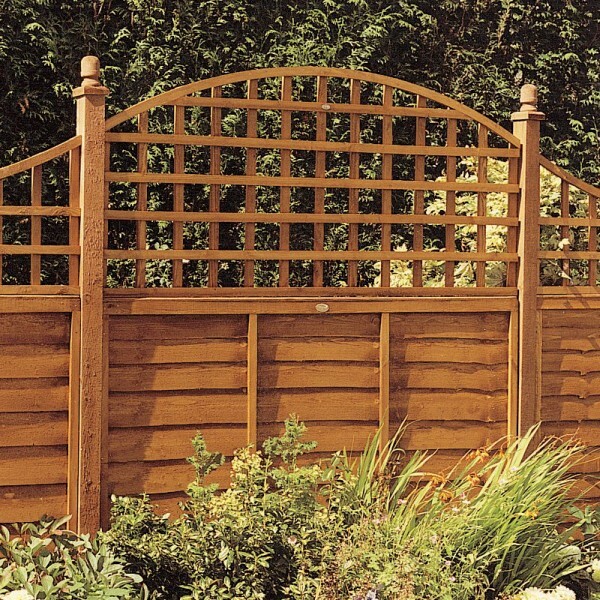 The Alderley can either be left for a natural finish or can be coloured with garden paint. The green tint will gradually subside over time without any action required. 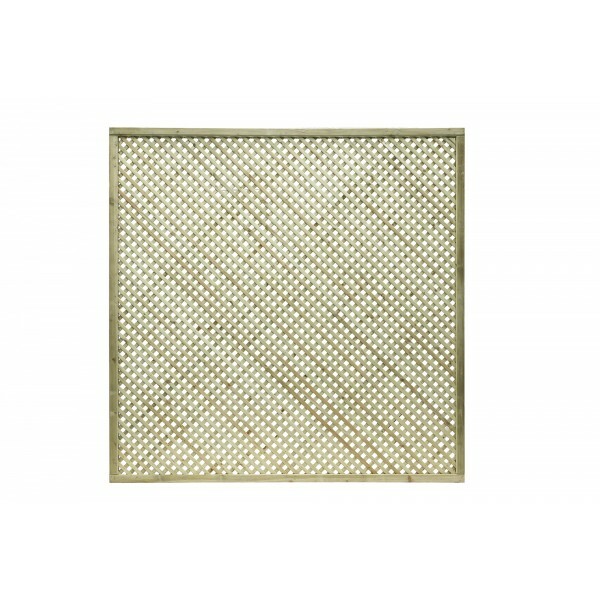 The trellis frame has an attractive bow top and a diamond lattice with gaps of 40mm. 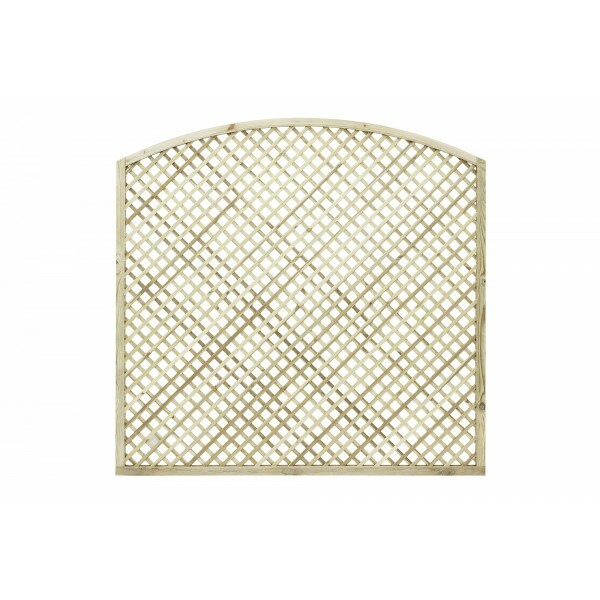 An ornate and delicate design, the Alderley Concave Trellis will add an extra dimension to gardens of all sizes. To place an order, a minimum purchase of three pieces applies. Each product is pressure treated green ensuring longevity in use. 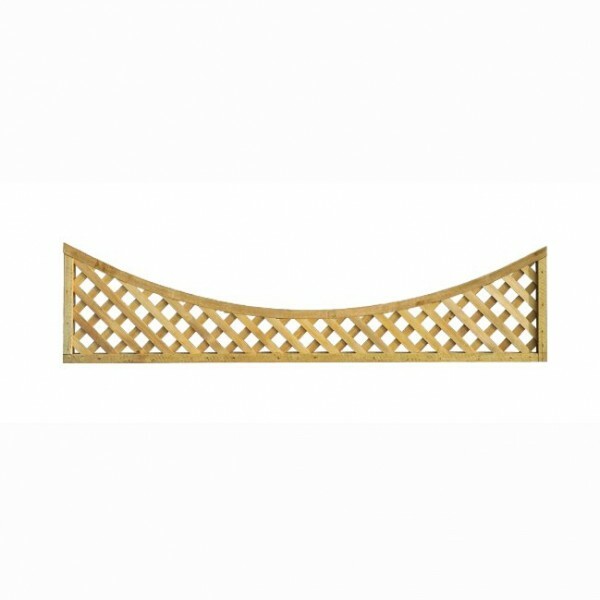 Ideal to suit the valenica structure range.